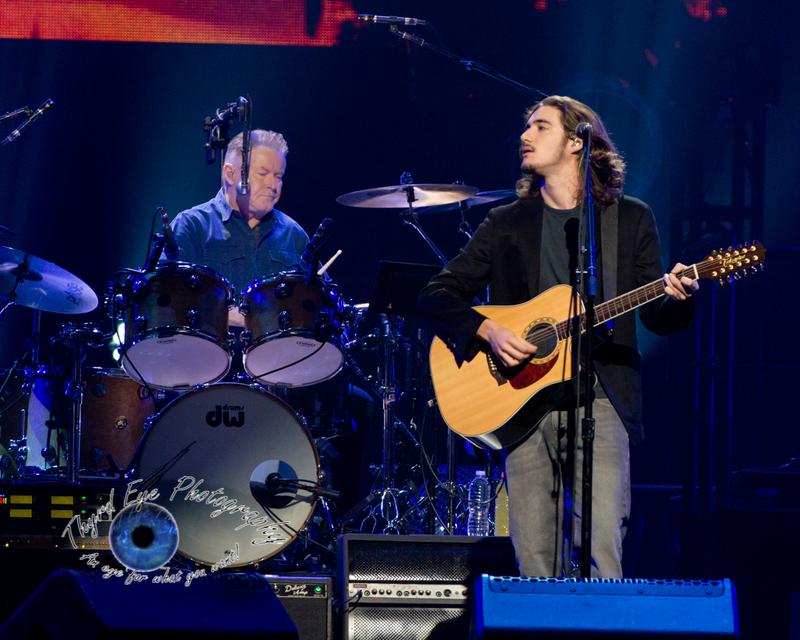 Don Henley and Deacon Frey of the Eagles performing at Scottrade Center in Saint Louis Sunday. Photo by Sean Derrick/Thyrd Eye Photography. The nearly sold-out Eagles concert crowd Sunday at Scottrade Center sat in anticipation prior to the band’s return to Saint Louis following the death of founding member Glenn Frey in 2016. His death sent what appeared to be a death knell across the band’s large fandom. Most fans, critics, and well let’s face it, everyone thought the band was done. However, in March 2017 the band announced a return to live performances with Glenn’s son Deacon taking Glenn’s place and adding Country Music Hall of Famer Vince Gill to the fold as well. 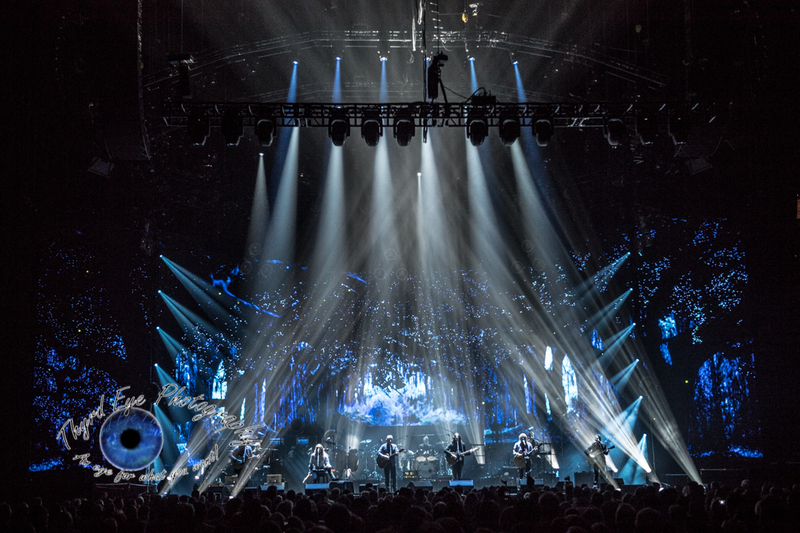 The resulting shows turned out to be just a warm-up for a major North American Tour that runs through July. The Scottrade Center show was the third stop on the tour and from the first few songs it sounded like the band was in the middle, not the beginning of their tour. Eagles performing at Scottrade Center in Saint Louis Sunday. Photo by Sean Derrick/Thyrd Eye Photography. The man everyone was curious about lived up to expectations, and more. There could not have been a better choice (or any other choice for that matter) to replace Glenn than with Deacon. From his tall lanky frame, to his long wavy hair and toss in a mustache it appeared that Glenn Frey circa 1978 was standing on the stage. Then he sang and removed all doubt about the choice. This guy can sing. Not just because he sounds EXACTLY like his dad, but he has pure talent of his own. Deacon Frey of the Eagles performing at Scottrade Center in Saint Louis Sunday. Photo by Sean Derrick/Thyrd Eye Photography. It wasn’t hard to find that comparison and that analogy on songs like “Take It Easy”, “Peaceful Easy Feeling”, and “Already Gone”. His easy going arrangement was a match born into this role. A very moving tribute to Glenn came after “Peaceful Easy Feeling” when his image appeared on the giant curved screen behind the band. The crowd roared to applause, most standing in loving recognition to the beloved singer for a prolonged ovation. Several times I closed my eyes when Deacon was singing and felt like I was at the Mississippi River Festival in 1978 watching the Eagles perform across the river on the campus of Southern Illinois University at Edwardsville. Fun fact: It was at the MRF in 1974 that guitarist Joe Walsh actually opened for the Eagles’ show that year, just over one year before he was asked to join the band. 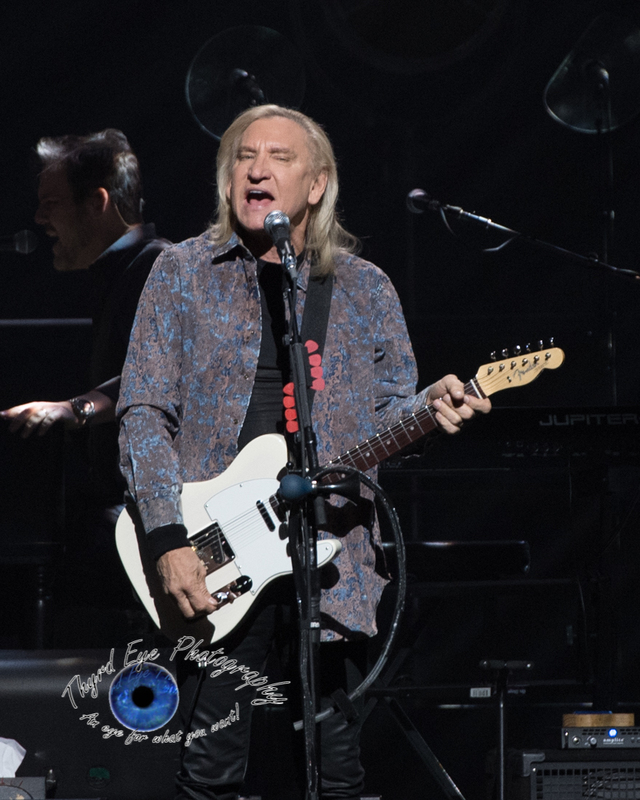 Joe Walsh of the Eagles performing at Scottrade Center in Saint Louis Sunday. Photo by Sean Derrick/Thyrd Eye Photography. 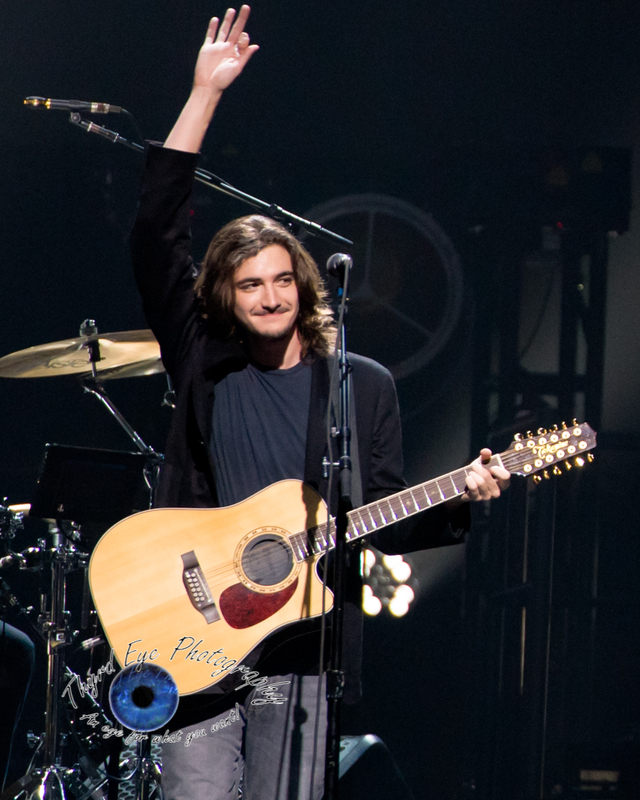 Walsh, whose spectacular guitar work and infectious energy helped bring the band from its more country roots to rock mainstream had most of solo material included in the set. With five songs starting with “In the City” to his epic “Life’s Been Good” Walsh kept the crowd on their feet throughout much of the last eight songs. “Funk #49” was typically infectious. The evening built with a crescendo, taking the easy laid-back country feel in the first part of the show and gradually built up to the frenetic end of the main set with “Life In the Fast Lane”, encompassing 28 songs over a span of more than two and a half hours and two encores. Each member got a chance to shine in the spotlight several times. Equal distribution in the band was always one of their attractions for me. 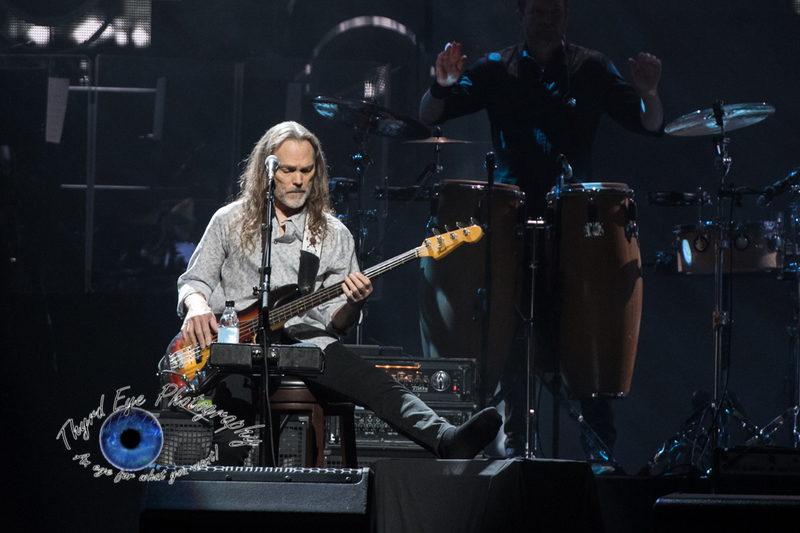 Timothy B. Schmit of the Eagles performing at Scottrade Center in Saint Louis Sunday. Photo by Sean Derrick/Thyrd Eye Photography. Gill’s vocal style complimented nicely on songs like “New Kid in Town”, “Heartache Tonight” and “Take It to the Limit”. He joked with the crowd by introducing himself as “Hi, I’m the new guy” and his combination of vocal stylings and gritty guitar work fit nicely in the band’s lineup. If anyone questions why Gill, it is really not farfetched. Gill’s contemporary country rock stylings blend perfectly with the band’s country roots and into the country-rock arrangements that is the Eagles’ signature sound. 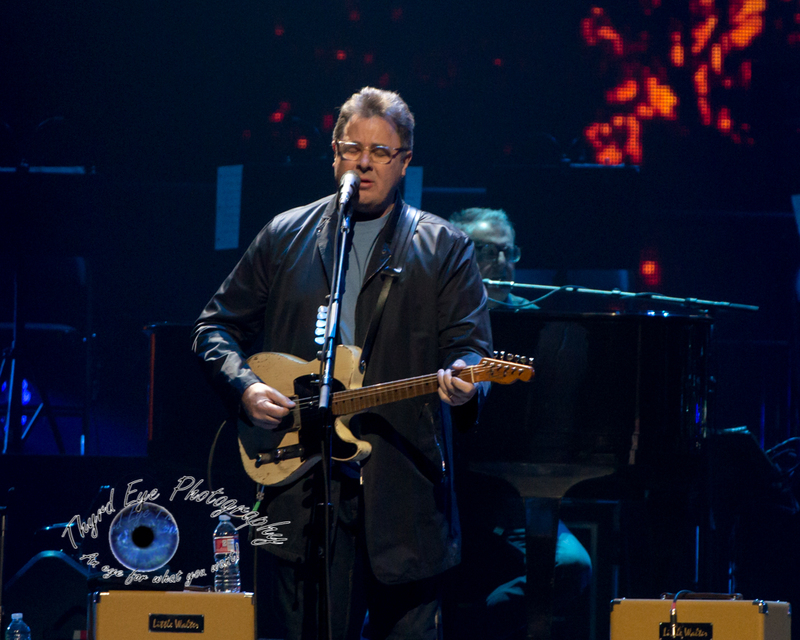 Vince Gill of the Eagles performing at Scottrade Center in Saint Louis Sunday. Photo by Sean Derrick/Thyrd Eye Photography. The harmonies were beautiful and the imagery from the screen was just as enticing. The band had vitality and vigor. 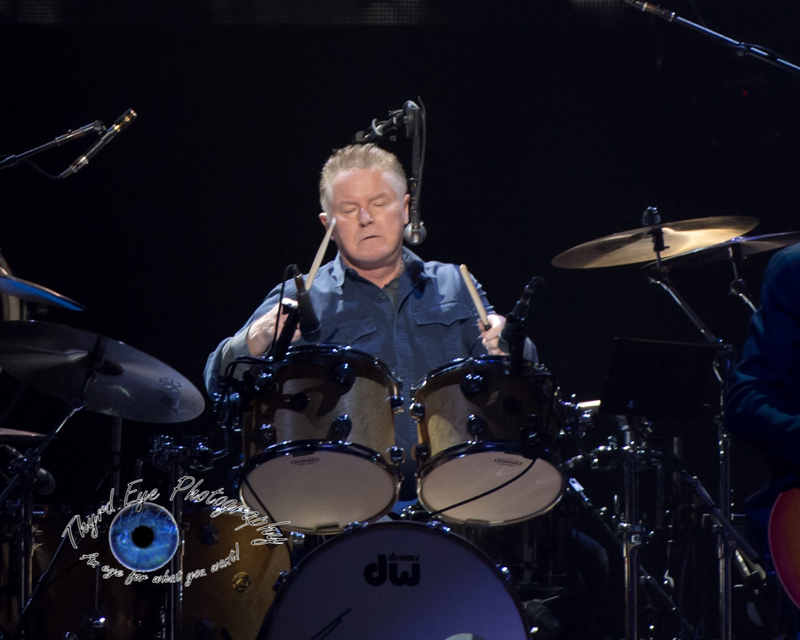 Don Henley could still hit the high notes when needed and remained a stalwart for the band on drums and guitar. The highlight for him was easy; “Hotel California” for the first encore. Don Henley performing with the Eagles at Scottrade Center in Saint Louis Sunday. Photo by Sean Derrick/Thyrd Eye Photography. Schmit, laid up from an injury, performed the entire set siting on a stool with his leg propped up. His endearing personality and joking quips made you feel like you were just relaxing with a beer, listening to Uncle Tim’s stories. When he mentioned that he and his former band POCO used to tour together with Walsh when he was in James Gang and they would play at the old Kiel Auditorium, well let’s just say the fans appreciated that comment. Schmit looked out on the older crowd and quipped “I bet some of you were there”. Those that miss this tour are going to wish later on that they could say that about this tour. Vince Gill and Timothy B. Schmit of the Eagles performing at Scottrade Center in Saint Louis Sunday. Photo by Sean Derrick/Thyrd Eye Photography. Went to LA from Australia to see Eagles at The Forum in September . Amazing . They were The Eagles !! What more can you say. Hadn’t seen them since He’ll Freezes Over. Sad Glen not there but musically great as ever . Special mention to Deacon and Vince.